I do the same thing here - though we unfortunately do not have a lot of fruit trees because of the climate. One person on my street has a crabapple tree and I struggled with knocking on their door everytime I walked by. In the end, I didn't...and I'm disapointed as none were picked this year - all went to waste. Next year for sure I'll be pounding on their door! We have a lemon, lime, pomegranate and avocado tree. I can't describe how much pleasure it gives my husband and I to have these trees just outside our door. We swap with friends who have plum, fig, peach, apple and orange trees. Everything home grown tastes sooooo much better! This looks amazing, Erika. 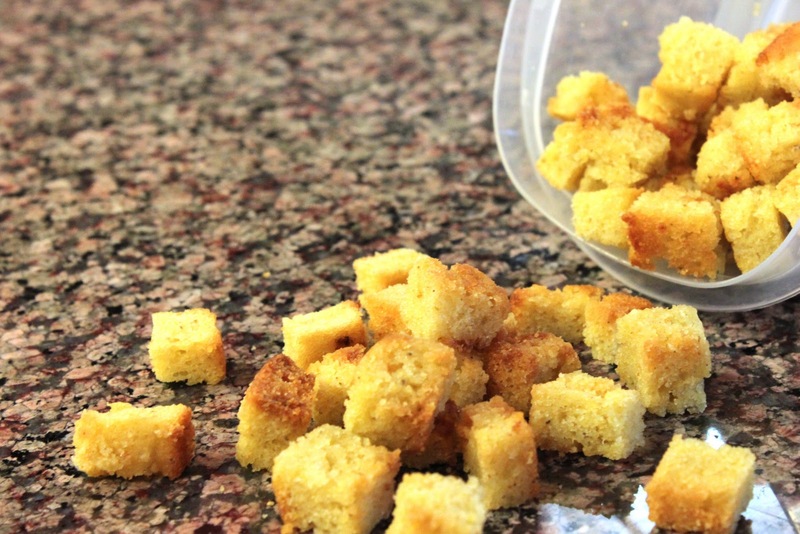 Will definitely be making this for our Thanksgiving dinner. I love persimmons! Wow! 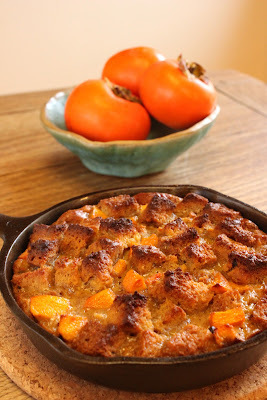 I love persimmons but I would never think to incorporate them into something like this. What a beautiful dish! Thank you so much for sharing this with me. I hope you have a lovely end to your week! 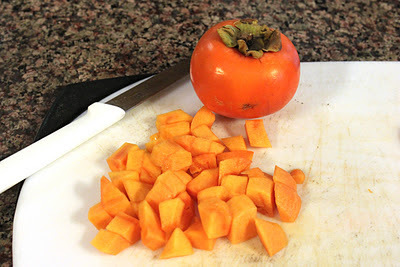 I love fuyu persimmons and look forward to this time of year. Found them at my local Trader Joe's last week and purchased 6. Going back today to pick up some more! I don't think they could ever last long enough to cook something with them, I love eating them just as is! 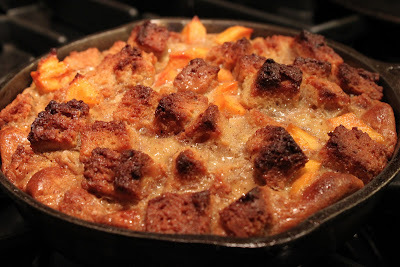 Fall= Fuyu persimons and bread pudding=love. This dish turned out to be a smashing success this Thanksgiving. So I would like to thankyou for your consistently warm and humorous posts and heartwarming recipes! Preethi - thank you so much for coming back to let me know that you made the dish and liked it. That makes me super happy! Hope you had a wonderful holiday! This was amazing!!! a real BIG HIT!!!! @Colleen I am so happy to hear it!